Speed cameras are set to monitor massive diversions on one of Scotland's busiest roads. The A9, which stretches down the spine of the country, will see 48 miles of diversions,roadworks and overnight closures along its 273 miles. The work, in Perthshire, is part of a £3 billion project that will eventually upgrade 80 miles of road from single to dual carriageway by 2025. The northbound diversion is approximately 48 miles long and southbound, approximately 28 miles. A local councillor commented: "These closures will involve detours through villages and along roads with few passing places. 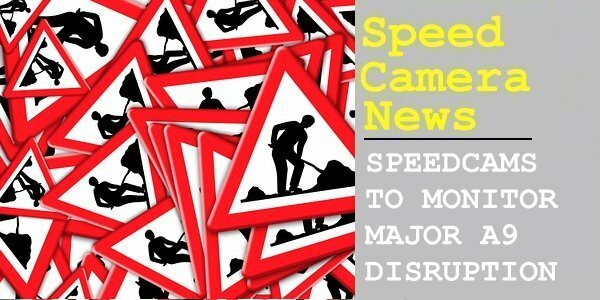 As they are for a short period and overnight, disruption should be to a minimum and at this time of year traffic volumes will be low." He added: "However, I would hope motorists would drive with care along these detours, respecting villages and residents, and not treating them as rat-runs." The cameras will monitor a temporary 40mph speed limit.